Perhaps the easiest way to give your bathroom a fresh look is by painting it. Choose the colour wisely. If your bathroom is small, choosing a light colour can really open up the room and make it look brighter. On the other hand, if you have a spacious bathroom, you have a wider choice. Dark colours add texture and give a room a striking look. Both bathtubs and basins are costly. The cheap alternative is to resurface. Resurfacing involves cleaning the area, regrouting and fixing cracks, applying primer and then resurfacing with enamel. 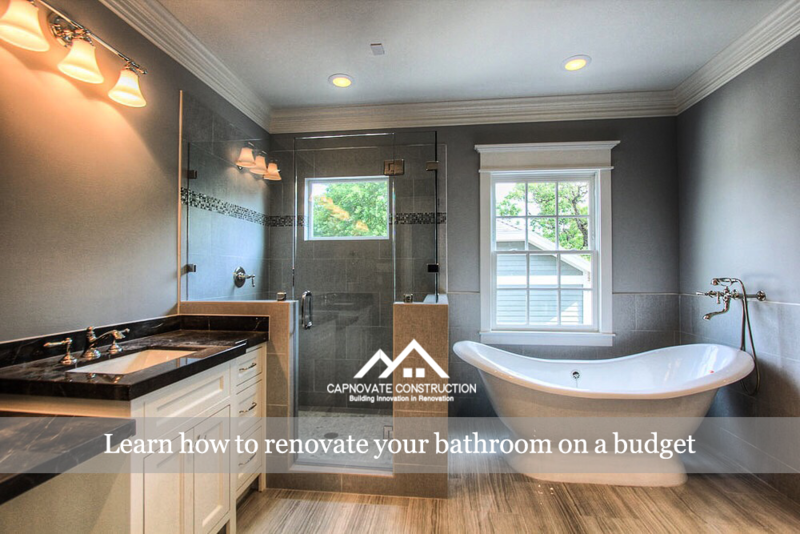 Resurfacing instantly spruces up a bathroom and costs a fraction of what new fixtures would. Replacing taps, handles, shower heads and towel racks can make you bathroom look new and add shine. It does not cost much but wonderfully lifts the look of the bathroom. It is not necessary to buy new ones. Often you can get fixtures for a bargain at thrift stores and flea markets, so shop around. Make sure that you get matching colours. Changing light fixtures is another easy and inexpensive way of adding bling to the bathroom. Choose a lighting solution which is both functional and beautiful as it is necessary for a bathroom to be properly lighted. To perfect your bathroom’s look, add some beautiful accessories, like a new mirror, vases, candles or even paintings. Don’t forget to change the curtains and rug. Accessories are also easy to get at thrift markets and flea stores and often amazing things can be found at bargain prices. Choose a theme and get creative. Give your bathroom a personality and make it a place to relax and unwind.